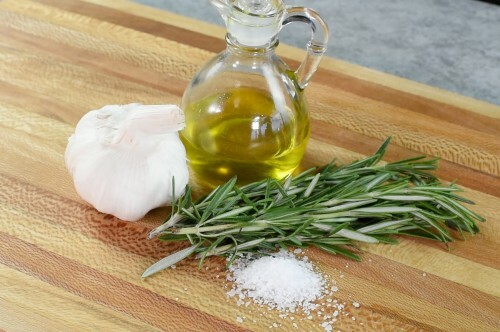 Cutting onions the right way can have an impact on the texture and flavor what you’re cooking. 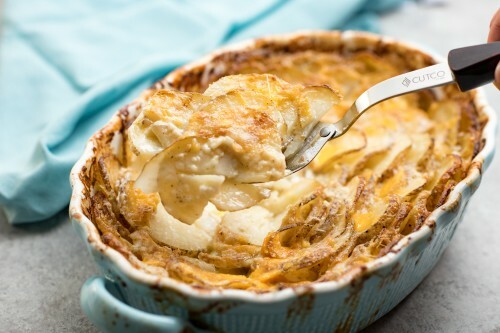 When making French onion soup, for example, you want thin strips that will easily cook down. For chili, you’ll want diced or minced onions for sautéing. 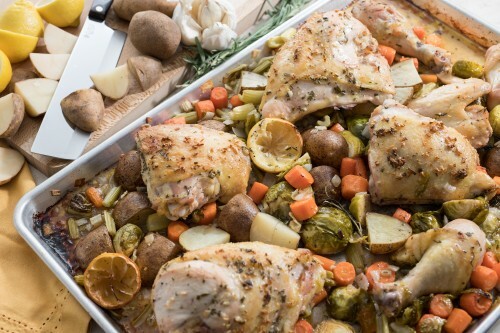 To sort it all out for us, we enlisted the help of Chef Keith Glover an instructor at Alfred State College’s culinary arts program. 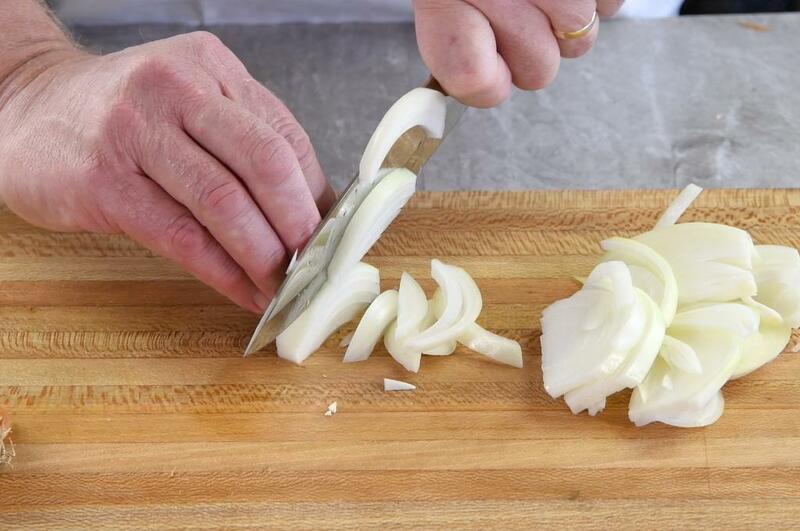 In this video he demonstrates how to cut onions three different ways – slicing, dicing and mincing. 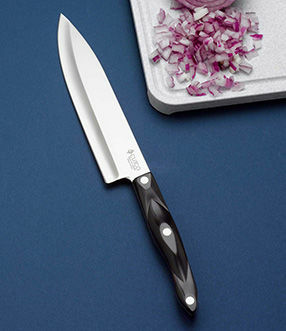 One thing is for sure, a sharp straight edge knife, like a 7-5/8" Petite Chef, with a slightly rounded belly works best. And remember, using a sharp knife to cut onions will make a clean cut, releasing less of the enzymes that cause you to tear up. 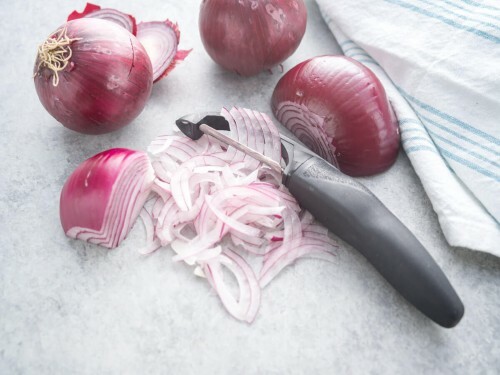 Use a 7-5/8" Petite Chef knife to slice off the stem end of the onion. 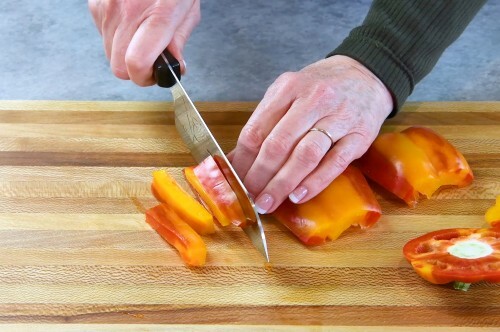 Lay flat on the cutting board, cut in half and remove the papery outer skin. To make slices, slice off root end and make even slices to desired thickness, lengthwise from stem to root. To dice, repeat steps 1 and 2. 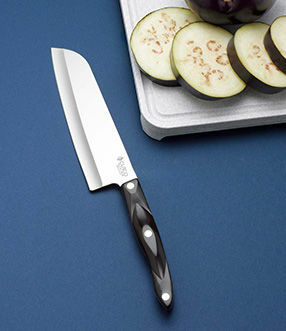 Using the tip of the chef knife, make vertical cuts crosswise. Rotate the onion halfway and cut down to dice. 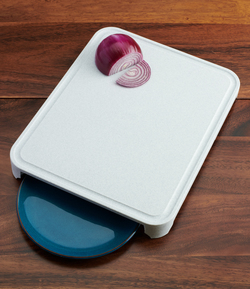 To mince, draw diced onion into a pile in the center of the cutting board. 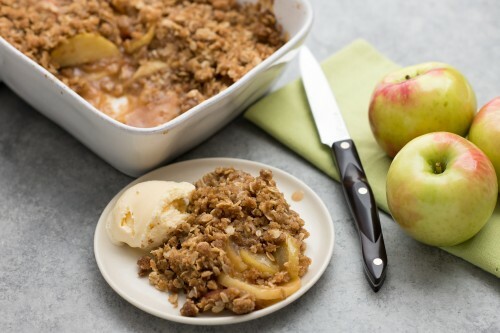 Keeping the tip of the knife on the cutting board, place your opposite hand on the top of the blade and rock your knife over the pile, continuing to draw the onion pieces back in to mince to desired size.